When Ross Poldark plunges into a highly speculative mining venture, he risks not only his family’s financial security but also his already turbulent marriage. When his old flame, Elizabeth, reenters his life, Ross is tested like never before. But soon his wife, Demelza, retaliates, becoming dangerously involved with a handsome Scottish cavalry officer of her own. With the looming threat of bankruptcy and scandal, the Poldarks now face the possibility of disaster on all fronts. Will they be able to keep it together before everything falls apart? A tale of romance, revenge, and risk, Warleggan brings you characters and rivalries you won’t soon forget. Honestly, I was dreading reading this volume of the Poldark Saga. If you watch the BBC/Masterpiece show, you’ll understand why. Without giving away too many spoilers, Ross does something unforgivable, and it threatens to destroy his entire family. Fortunately, I watched Season 2 before reading Jeremy Poldark and Waleggan (the two books Season 2 is based on), so I was prepared, and although it was a really difficult section of the book to read, the ending was very sweet and made up for it (mostly). Surprisingly, I ended up enjoying Warleggan more than its predecessor. It felt like so much more happened in this novel than in Jeremy Poldark, and near the end I was more into the book than I originally anticipated. For the most part, I really enjoyed this narration of Warleggan. The narrator, Oliver Hembrough, has an entertaining voice that is easy to listen to. The only letdown for me was that his voice for most of the ladies, Demelza especially, was pitiful. Demelza is fierce, yet the narrator depicted her in a moping way that I was not a fan of. I can understand Elizabeth sounding that way, but not passionate Demelza. The ending of Warleggan was very touching, and there are several reconciliations that will pull at your heartstrings. I’m very tempted to pick up the next book before this season is even over, but at the same time I don’t want to spoil anything! I enjoy watching the show and then reading the books afterwards. Ross Poldark faces the darkest hour of his life in this third novel of the Poldark series. Reeling from the tragic death of a loved one, Captain Poldark vents his grief by inciting impoverished locals to salvage the contents of a ship run aground in a storm-an act for which British law proscribes death by hanging. As Ross is brought to trial for his involvement, his wife Demelza tries to rally support to save him and their family. But plenty of enemies would be happy to see her husband convicted, not the least of which is George Warleggan, the powerful banker whose personal rivalry with Ross threatens to destroy the Poldarks. The third book in Winston Graham’s hugely popular Poldark series, Jeremy Poldark brings to vivid life the clash of rich and poor, loss and love, powerful and powerless in a mesmerizing saga you won’t forget. Jeremy Poldark gets its name from a character that isn’t even introduced until the end of the novel; for the most part the book follows Ross Poldark’s trial (remember: he was arrested at the end of Demelza) and his ever growing rivalry with George Warleggan. Like the previous Poldark novel (and what I’m gathering is an interwoven theme throughout the entire series), this book has its fair share of heartbreak. Ross and Demelza are very much grieving the death of their daughter Julia, but they also have tender moments between themselves and close friends. My favorite part about this novel is the blossoming relationship between Dr. Dwight Enys and Caroline Penvenen. Since I’m watching the show first before reading the books each season is based on, I was already a fan of Dwight and Caroline, but this book made me fall in love with both characters and their relationship even more. Book-Caroline is as headstrong as TV-Caroline, but she also has an even deeper streak of sassiness that I wish we saw more of on the show. …you enjoy family sagas, especially ones including plenty of tension and drama. …you’re a fan of historical fiction. …you are intrigued by novels that feature opposing socioeconomic classes. …you’ve already read Ross Poldark and Demelza. With fates bound by a shared tragedy, a reformed gambler from the Colorado Territory and a Southern Belle bent on breaking free from society’s expectations must work together to achieve their dreams—provided that the truth doesn’t tear them apart first. Sylas Rutledge, the new owner of the Northeast Line Railroad, invests everything he has into this venture, partly for the sake of the challenge. But mostly to clear his father’s name. One man holds the key to Sy’s success—General William Giles Harding of Nashville’s Belle Meade Plantation. But Harding is champagne and thoroughbreds, and Sy Rutledge is beer and bullocks. Sy needs someone to help him maneuver his way through Nashville’s society, and when he meets Alexandra Jamison, he quickly decides he’s found his tutor. Only, he soon discovers that the very train accident his father is blamed for causing is what killed Alexandra Jamison’s fiancee—and what has broken her heart. Spurning an arranged marriage by her father, Alexandra instead pursues her passion for teaching at Fisk University, the first freedmen’s university in the United States. But family—and Nashville society—do not approve, and she soon finds herself cast out from both. 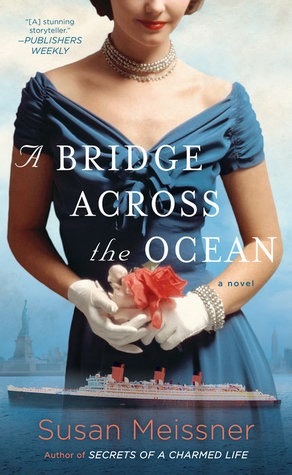 Through connections with the Harding family, Alexandra and Sy become unlikely allies. And despite her first impressions, Alexandra gradually finds herself coming to respect, and even care for this man. But how can she, when her heart is still spoken for? And when Sy’s roguish qualities and adventuresome spirit smack more of recklessness than responsibility and honor? Set against the real history of Nashville’s Belle Meade Plantation and the original Fisk University Jubilee Singers ensemble, To Wager Her Heart is a stirring love story about seeking justice and restoring honor at a time in history when both were tenuous and hard-won. I’ve been a faithful fan of Tamera Alexander’s Belle Meade Plantation series since I read the first installment in early 2013. The first two novels, To Whisper Her Name and To Win Her Favor, were very enjoyable and captivating reads for me. I remember loving the romances in both of them, and the storylines were suspenseful and conjured up empathy in me for the prejudices and racial tensions of post-Civil War America. To Wager Her Heart, the third and, I’m assuming, final novel in the Belle Meade Plantation series was a disappointing read for me. My expectations were high after thoroughly enjoying and appreciating the first two novels. 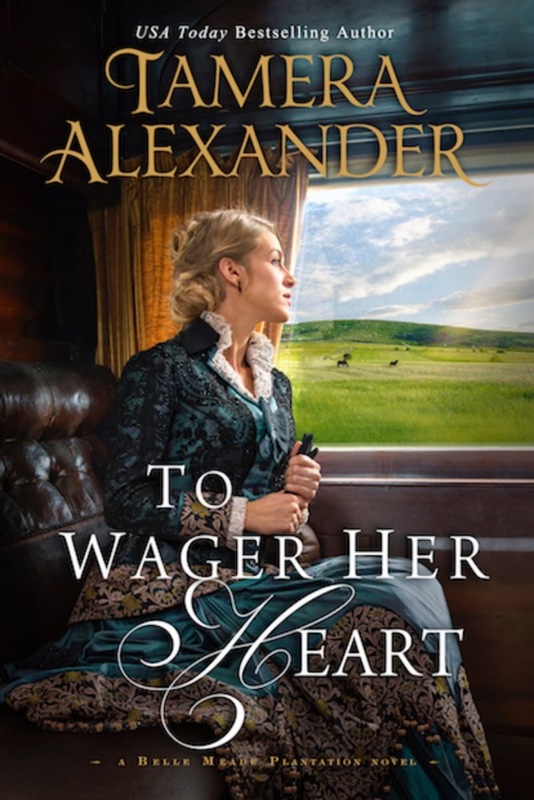 In To Wager Her Heart, I felt that the emotion Tamera Alexander’s writing normally invokes was watered down and not as intense as I remember it being in To Whisper Her Name and To Win Her Favor. The beginning of this novel pulled me in right away. There is a fair amount of tension and uncertainty with regards to our two main characters’ journeys, but by the middle of the novel the story starts to lag. One thing in particular that threw me off about the middle act of the novel is that the conflict our hero, Sy Rutledge, faces is glossed over and practically wrapped up entirely too quickly. The novel’s ending was somewhat satisfying, with a realistic amount of loose ends remaining, but overall the book lacks a crucial amount of suspense. I didn’t feel particularly connected to Sy or our heroine, Alexandra, and I even felt that their romance, which began as a promising conflict in the story, blossomed unrealistically too quick and therefore didn’t feel as deep or anchored as the romances in the earlier novels. I must say that a major reason why I admire Tamera Alexander as an author is because of the amount of research she does. Apart from this series, I haven’t read any of her other books, but Belle Meade and many of characters we meet in these books are real. At the end of each book she gives a brief history of the plantation, the family and workers who lived on it, and the surrounding town. As an aspiring historical fiction writer myself, I appreciate how she crafts her own story around real people and real events. …you’ve read and enjoyed To Whisper Her Name of To Win Her Favor (although these books can be read as standalones, some minor characters are present throughout the entire series). …you are a fan of historical fiction. …you love Christian fiction novels. …you are looking for an inspirational romance. I feel like I’ve been overly critical of this novel, but believe me, if I had really not liked it, I wouldn’t have been able to finish it. To Wager Her Heart managed to keep my attention until the end, while many other books I’ve reviewed have not. I must credit Tamera Alexander’s writing style and the setting of this novel, because, as I’ve already mentioned at least once, I was really intrigued by the true life historical aspects of Belle Meade Plantation and Nashville in the late 1800s. I still look forward to reading more of Tamera Alexander’s novels in the future, and I know that will also include rereads of To Whisper Her Name and To Win Her Favor. When I first heard about A Bridge Across the Ocean, I was not aware of the paranormal aspects. I thought it was going to be purely historical fiction; however, the fact that Brette is able to see and speak with ghosts did not make this story fantastical. Susan Meissner wrote it in a realistic way that blended well with the other story lines. I was originally drawn towards this novel because of the cover. This ship on the front looks very similar to the Titanic, and I have been obsessed with the story and legacy of the Titanic since the third grade. This novel has nothing to do with the Titanic, though. It revolves around two women, from Germany and France, surrounding the WWII era. One of the women, Simone, is a subtle part of the Nazi Resistance in France while the other woman, Annaliese, is the unfortunate wife of a Nazi official. They meet aboard the RMS Queen Mary, while traveling to America after the war. Decades later, Brette crosses paths with both women while searching for a ghost on the now memorialized Queen Mary. Honestly, I was more interested in the flashbacks of Simone and Annaliese’s lives before, during, and even after WWII than I was in Brette’s present day journey of self discovery. Some of the flashback scenes are hard to read, but that’s typical of wartime settings. Brette is a pretty mild character, while Simone and Annaliese have stronger personalities and act, rather than react, like Brette does. I feel that Brette only serves to reconcile Simone and Annaliese’s storylines, which is where the meat of the story takes place. …you enjoy historical fiction, especially WWII historical fiction. …you like books that have twists and unexpected endings. …you don’t mind reading books with multiple narrators. …you can enjoy a book even if you connect more with the supporting characters than you do the main character. Men are optional. That’s the credo Emma Chandler’s suffragette aunts preached and why she started a successful women’s colony in Harper’s Station, Texas. But when an unknown assailant tries repeatedly to drive them out, Emma admits they might need a man after all. A man who can fight–and she knows just the one. Malachi Shaw finally earned the respect he craved by becoming an explosives expert for the railroad. Yet when Emma’s plea arrives, he bolts to Harper’s Station to repay the girl who once saved his life. Only she’s not a girl any longer. She’s a woman with a mind of her own and a smile that makes a man imagine a future he doesn’t deserve. Once again, Karen Witemeyer has created wholesome and endearing characters that inspire readers. Emma Chandler is an 19th century female banker with a heart for broken women who need a second chance at life. When someone starts threatening the lives of the women in her care, Emma turns to one of her oldest friends, Malachi Shaw, a timid dynamite expert with a protective streak, to help protect her women’s colony. One of my favorite parts about No Other Will Do is Malachi’s career in 19th century explosives. I know in the grand scheme of the novel, this character description is only slightly relevant to the plot line, but I still thought it was remarkably interesting. I also appreciated how Malachi’s career choice contrasted with his quieter and hesitantly expressive personality. Emma, on the other hand, is inspiring in her own sense. 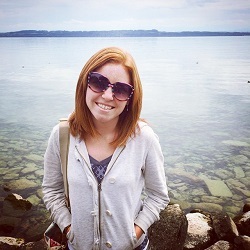 She’s brave, strong-minded, and incredibly compassionate. When the odds are stacked against her, she still manages to overcome every challenge, even when she’s struggling with her own doubts and failures. Although I’d categorize No Other Will Do as an inspirational novel, it also features some darker scenes and depictions. Harper’s Station is a refuge for battered and abused women, but Karen Witemeyer is able to blend the harsher depictions of domestic abuse with compassionate characters who impart healing and hope. …you enjoy historical fiction set in the American west. …you’re looking for an uplifting novel to start the year off with. …you appreciate themes of feminism and redemption. …you’re interested in well-researched 19th century life (including insight into the life of a dynamite expert). I can’t believe that Karen Witemeyer has been one of my favorite authors for four years now and I haven’t written a single review for her on my blog yet! I know I’ve recommended and gushed about her books plenty of times, but I’m happy I finally got around to putting together a formal review. If you think you’d be interested in Karen Witemeyer’s other novels, I’d strongly recommend Short-Straw Bride and To Win Her Heart. I’m a little upset with myself for not getting this review posted earlier, BUT can I just say that I finished Time’s Divide weeks ago and I’m still on a tiny bit of a book hangover from it? That’s how phenomenal this series was to me. I even finished this last book while I was at work (it was a slow day so I’m not that much of a slacker) and it took most of my self-control to hold back the tears that wanted to burst out of me. I had guessed (or nearly guessed) halfway through the book how some of the major plot points were going to play out. Some of my suspicions were based on mild spoilers and others stemmed from some of the fears I had about how the story was going to end, and although I wished some thing had happened differently, I think Rysa Walker crafted a beautifully bittersweet ending and I am satisfied with how Kate’s journey played out. I don’t know why this series seems to be so underrated. My local library doesn’t have any copies of the books and I couldn’t find physical copies in major bookstores (I haven’t checked local and used bookshops, yet). I wish more readers knew about the Timebound books because I truly think it’s the type of series that can draw anyone in. I got my husband hooked on the series and he even finished the last book before I did (maybe by a couple of hours, but still). And yes, he loves science fiction and time travel, but he’s also a 33 year old man reading a book from the point of view of a 17 year old high school girl. I guess that just shows how well-researched and creatively written Rysa Walker’s series is. I don’t want to say too much and give away any unintentional spoilers, but I do want to say that seeing little glimpses of history and a possible dystopian future was really interesting. I’ve repeated it multiple times, but I love the idea of time traveling and being able to witness history first hand. At the end of Timebound, Time’s Edge, and Time’s Divide, Rysa Walker shares how factual the historical fiction parts of her books actually are. Kate and Kiernan visit so many different eras in history, and they encounter fictionalized versions of real people, such as Harry Houdini, and I was surprised to find that Walker didn’t really bend history too much; she basically just added her characters into the mix. …you appreciate well-researched novels (especially historical fiction). …you’re a fan of sci-fi and light fantasy, or you’re open to exploring a new genre! …you prefer reading plot-driven stories with easily likable characters. …a friend who would enjoy YA if it contained some heavy and serious situations. …someone who likes fast-paced, high-risk adventure stories. …anyone who enjoys watching sci-fi/fantasy/drama shows like Timeless and 11.22.63 and movies like X-Men: Days of Future Past. These songs were playing in my mind quite frequently while I was reading the series. The John Newman song felt like a perfect end-credits song if Timebound is ever turned into a movie (it would be a fantastic movie).